Air is the mixture of gases that surrounds the Earth. 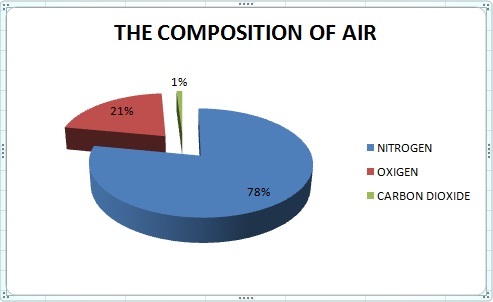 Nitrogen: the most abundant gas. Oxygen: the second most abundant gas. Plants produce oxygen. All living things need oxygen to breathe. Carbon dioxide: a very small part of air. Living things produce carbon dioxide when they breathe out. It is also produced by cars and factories.